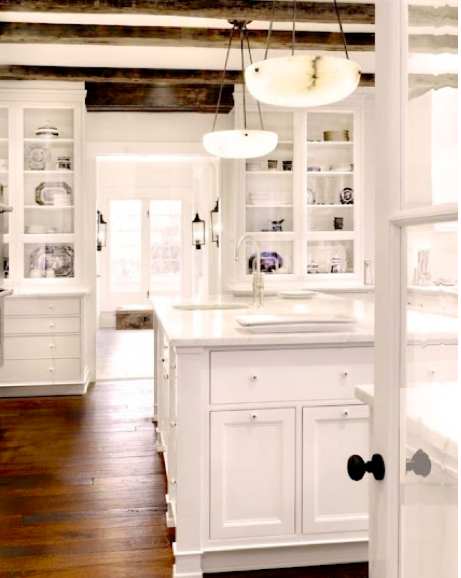 I'm positively swooning over this beautiful all white kitchen with its custom cabinets and gorgeous marble counters against those pumpkin colored fir floors and rustic beamed ceiling. WOW! The room is so light and airy too. This is definitely at the top of my dream kitchen list!